By the J. Hudson Factory. There is not a sports referee that walks out on the field without an Acme Thunderer. Hang on your keychain or neck for security. Small whistle with tapered mouthpiece produces high pitch, an ACME classic. 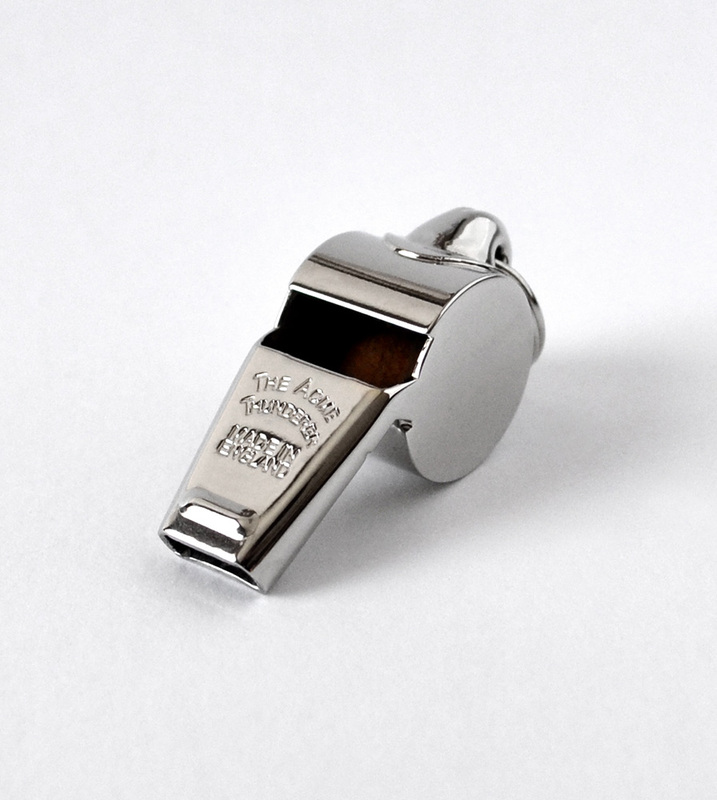 Acme Thunderer (Referee's) Whistle (60.5) small This whistle is a small sized whistle with a high pitch. Overall length approx. 1 & 13/16" x drum width 13/16" x tapered mouth 1/2"
For other Referee whistles, click here to see more info.